After so many decades why do we still craft every pair of our socks here in Vermont? We don’t do it because it’s the easy thing to do—we do it because it’s the right thing to do. We do it because for us, it’s the only way to do it. There are faster and cheaper alternatives but nobody ever outsourced anything for quality. We live and work in Northfield, Vermont. Our backyard is the perfect testing ground to make the finest Premium All Weather Performance Socks. We ski, snowboard, hike, bike and run in the most unforgiving climate in the lower 48. It is under these conditions that we design, test and manufacture our socks. We want you to feel good about buying your socks from us: good about the way they feel, good about the way they perform, and we trust, good about supporting a Vermont-made, American brand, including the raw materials used to make them. We believe Merino Wool is one of the best materials for manufacturing our Darn Tough Vermont socks, and to that end, we source only the finest merino wool available. We source our Merino Wool from America and around the globe and we hold our material suppliers to the same high standards and values as we do ourselves. We work closely with our suppliers to ensure that Darn Tough Vermont receives only sustainably sourced Merino Wool from sheep that are not exposed to the practice of mulesing. 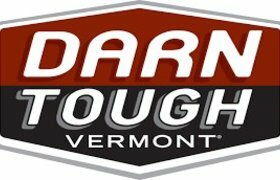 We’re proud of the socks we make at Darn Tough Vermont. We’re proud of where and how we do it, and hopefully you’ll agree, that’s something to feel good about. Our unconditional lifetime guarantee is simple and without strings or conditions. 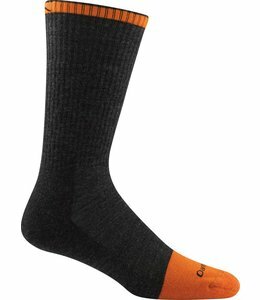 If our socks are not the most comfortable, durable and best fitting socks you have ever owned, return them for another pair. No strings. No conditions. For life. 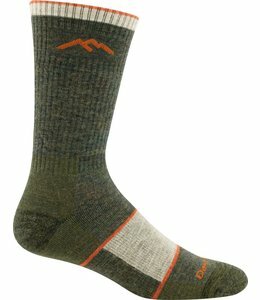 The Men's Hiker Micro Crew Cushion Sock is a trail legend. 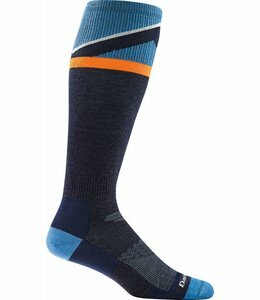 From the Pacific Crest and AT to day hikes in your neighborhood, this is the sock you want to wear. 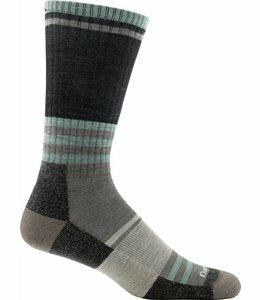 The Hiker 1/4 Sock Cushion Socks with side vents are breathable and don't slip so your feet stay comfortable all day. Having a busy day or doing nothing at all, the Women's Medallion Light No Show Sock is the sock to wear. The Women's Swirl Print Light Shorty Sock has comfort, fit, durability, and art! Hiking the Pacific Crest Trail or the AT? 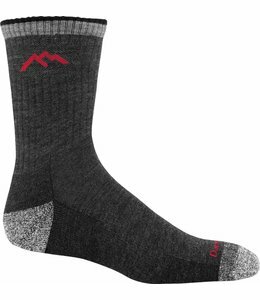 The Men's Hiker Boot Full Cushion Sock is the one to wear for comfort and durability. Equally good for short hikes. 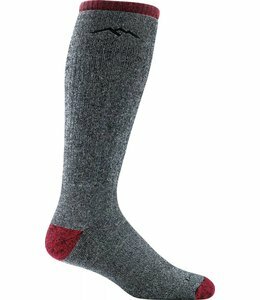 Women's Mountaineering Over-the Calf Extra Cushion Sock are built tough for long distance hikes, durability, and comfort. 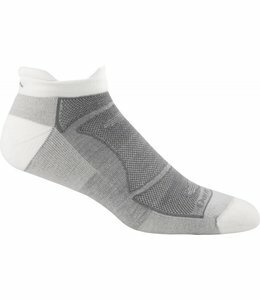 The Men's Coolmax Boot Cushion Sock has comfort and cushioning to keep you going mile after mile. Socks for the most serious of hikers. Aliens, Bears, and Camels keep it sensible and stylish while Darn Toughs ABC Boot Sock Cushion with world class cushion keeps you comfortable on or off trail. The Women's Hiker Boot Sock Full Cushion will be as comfortable at the end of your hike as it was at the beginning of your hike. The No Show Light Sock goes mile after mile after mile after mile. The Women's Starry Night Over-The-Calf Padded Cushion Sock makes walking all day on the trail feel like a walk in the park. 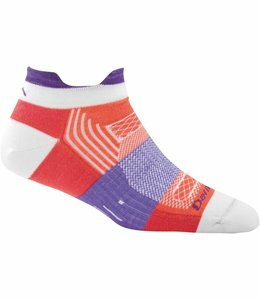 The Women's Light Hiker Micro Crew Light Cushion Sock is perfection made simple. The Hiker 1/4 Sock Cushion Black Medium are comfortable, breathable hiking socks. The Women's Peace Love Snow Over-the-Calf Cushion Sock provides comfort and warmth for all day adventures. Built for comfort all day and all night, Women's Starry Night Over-The-Calf Light Sock is a sock that delivers performance. The Women's Pulse No Show Tab Light Socks are durable, light, and go everywhere. The Men's Mountain Top Light will stand the test of time, durable for plenty of use. The Men's Steely Boot Cushion with Full Cushion Toe Box Sock has cushioning from the toe box all the way to the top of the sock. 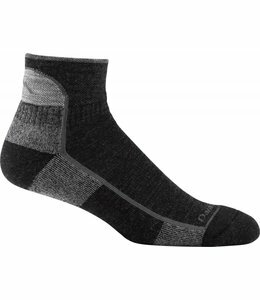 The Hiker 1/4 Sock Cushion Black Large are comfortable, breathable hiking socks. 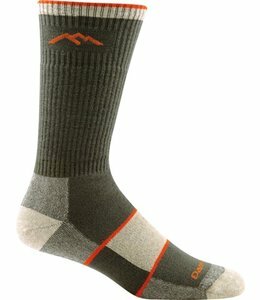 The Men's Mountaineering OTC Extra Cushion Sock keep you going when the going gets cold and tough. 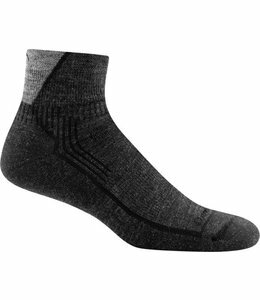 The Men's Spur Boot Light Cushion Sock provide comfort for your feet mile after mile. The newest creation from Darn Tough is the Women's Trail Legs O-T-C Cushion sock with moderate cushion to comfort your tired feet. This Men's Grit 1/4 LIght Cushion Sock is tough, durable, and comfortable. The Women's Hiker Boot Sock Cushion is a sock you can count on when you are miles from anywhere.